Today we’re about to deliver a simple message. Don’t want to get lost in your marketing activities when collaborating with many people? Use our Marketing Calendar. 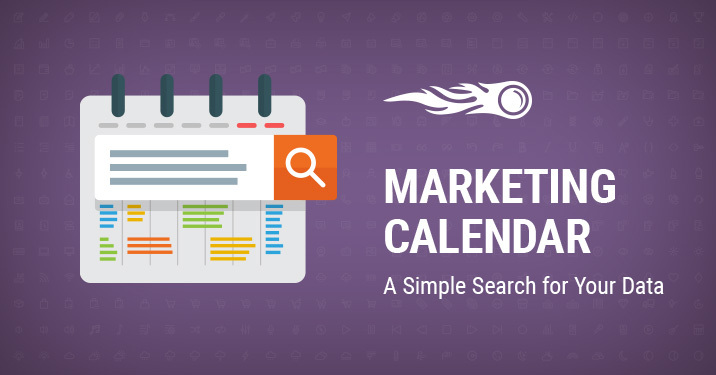 Don’t want to get lost in our Marketing Calendar? 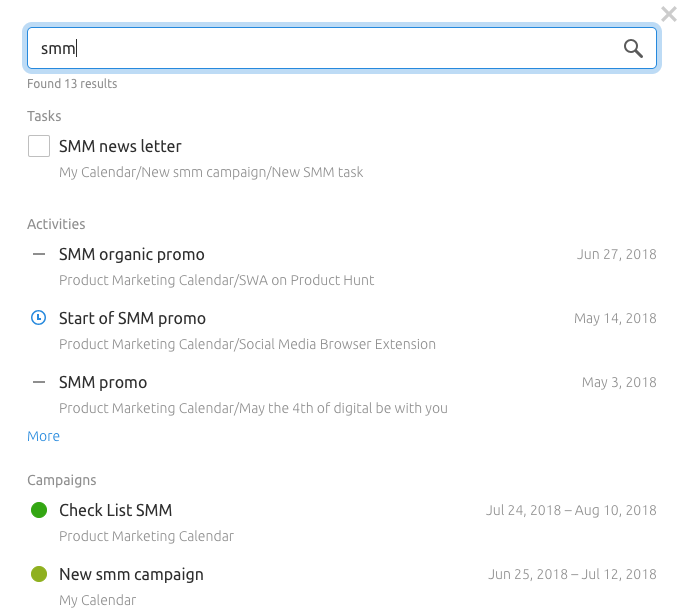 Use our recently embedded searching feature that will help you easily look up activities, tasks and campaigns across all your calendars, and manage all your processes even faster. The searching feature works among all your calendars and also those shared with you. Not enough results? You can always view the rest by clicking on ‘More’ at the end of the results list. Speaking of ‘more’, other updates are coming really soon! We can’t wait to hear your ideas, comments and suggestions. Feel free to hit us up with an email at [email protected].